Install Flapy Bird On PC with BlueStacks OR Play it Online. So, everyone on the internet are knowing about Flapybird. Flapybird is very addictive game this was the reason why it was out from the apple's app store in only and the same on android app store(Google play). Flapybird is designed by Dong Nguyen a Vietnamese developer. After launching this game he removed it from app stores saying that the game is become so addictive for the users. He tweeted on twitter that he is removing the game. He break the heart of many Flapybird fans. So, After removing the game from app stores the game become more famous. Many fake Flapybird was uploaded on app stores. 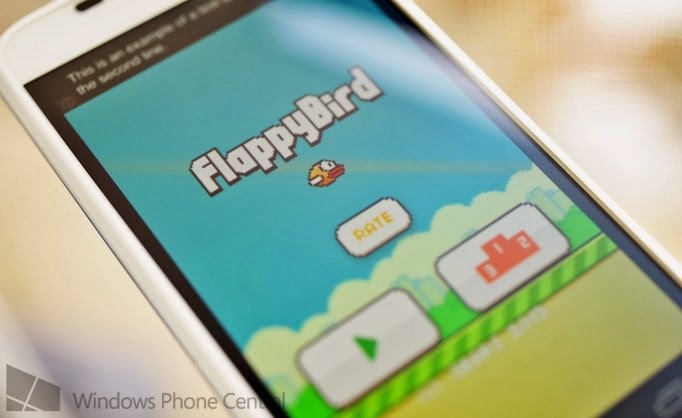 Some i phones users sold there i Phone's in very high prices cause they have installed Flapybird on there phone. But the same can not be done by android users because there was APK file of original Flapybird. Even there was one video in that the user break his samsung phone just because he lose the game. So, Did you tried flapybird . I think many peoples have played this game. But what if you don't have the a smartphone and want to try it. There are many websites that allows you to play the game online. But they are not as same as original Flapybird. Download BlueStacks and install it on your Pc. Go to this link download and install. Download Flapybird from this link. After downloading open the file and installation will start in bluestacks and the game will start. There are many sites that allows you to play it online. Just search Flapybird .